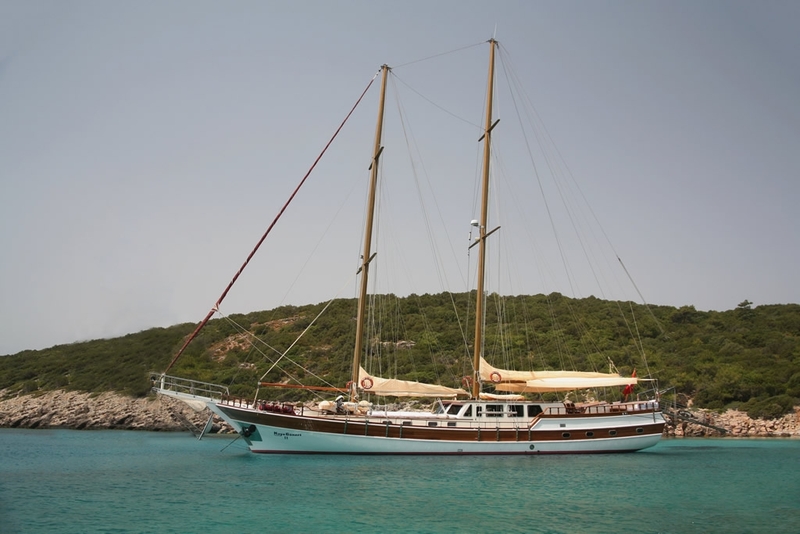 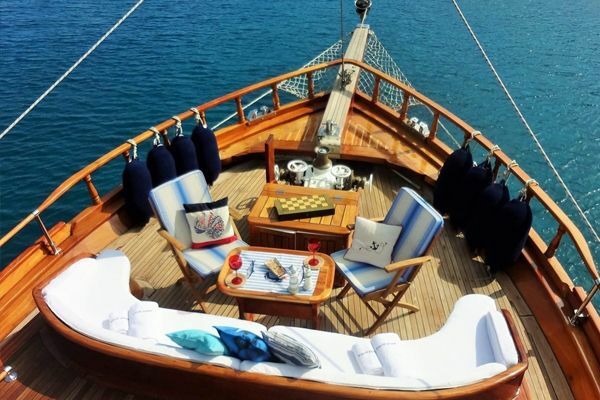 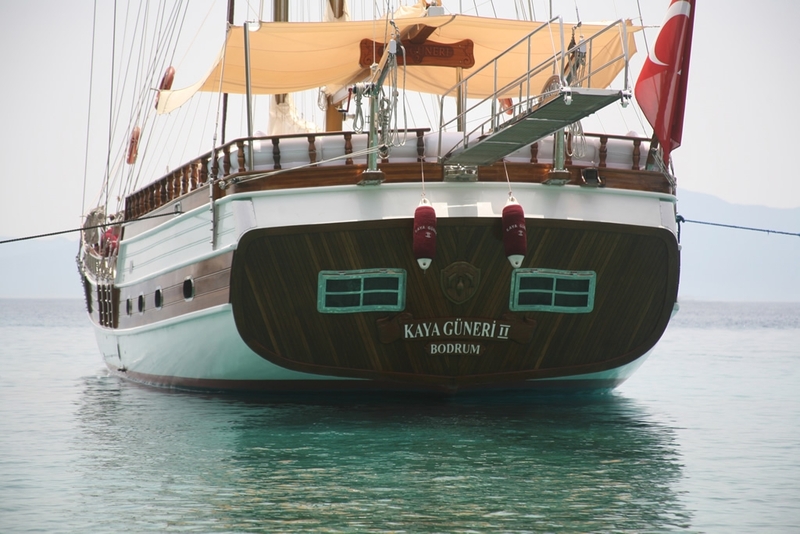 Luxury ketch gulet Kaya Guneri 2 is a classic wooden gulet offering traditional crewed yacht charters from Bodrum along the Aegean and Mediterranean coast of Turkey or into the Greek Islands of the Dodecanese. 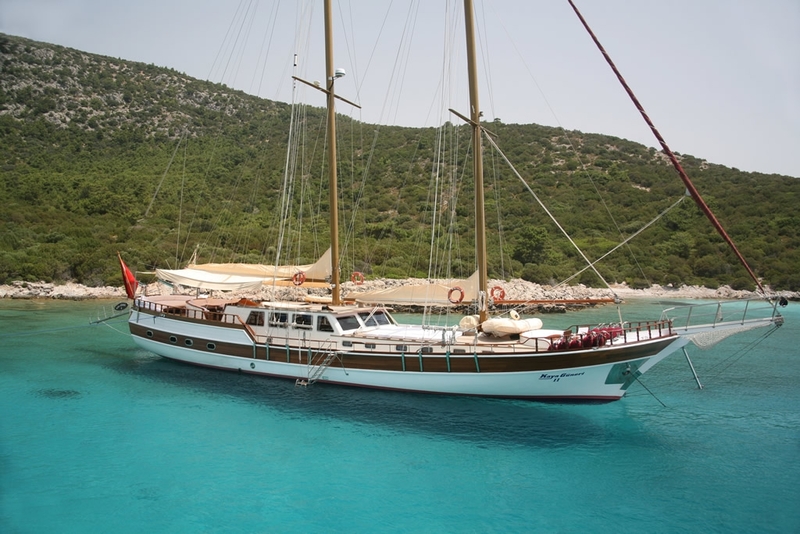 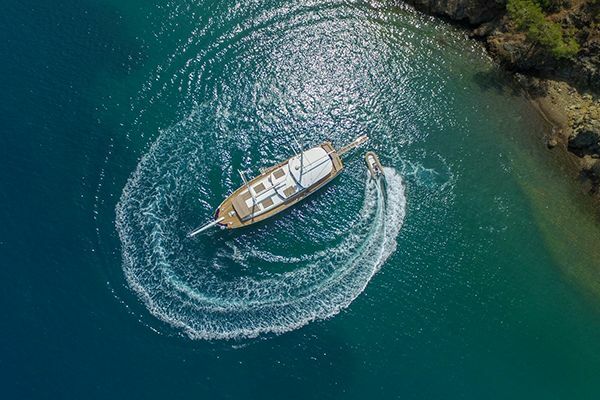 Families or groups of friends will find the gulet offers a very comfortable cruise as only six spacious cabins are designed to fit into the gracious 29 meter hull. 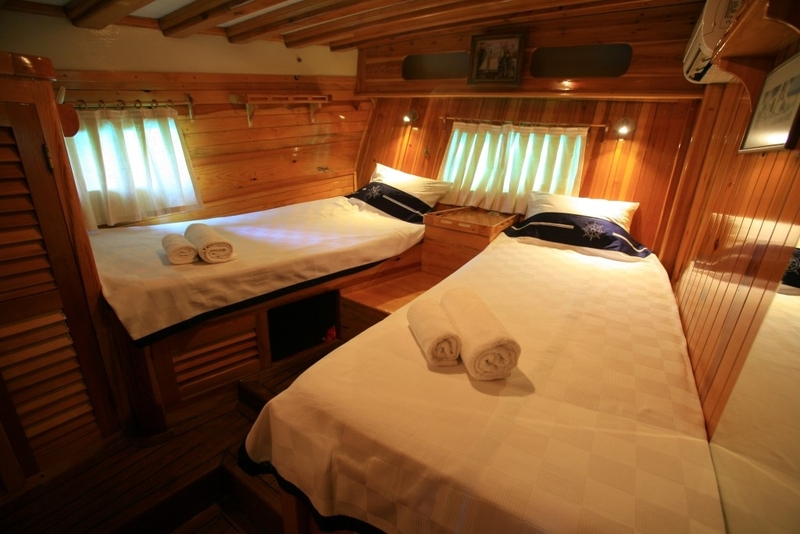 Two of those cabins are twin bed cabins, while four cabins offer the choice of a twin or a double accommodation with one double bed and a single berth in each cabin. 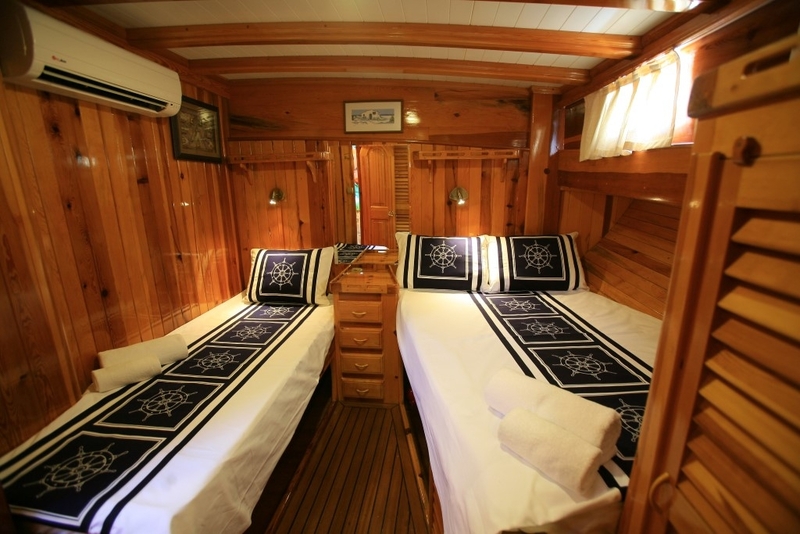 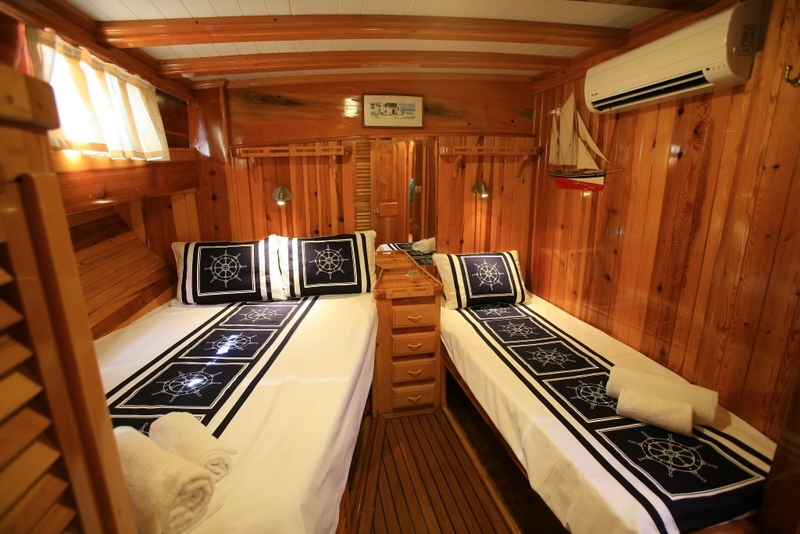 The twin bed cabins are located at the stern, while the four double cabins are located forward from the saloon and galley. 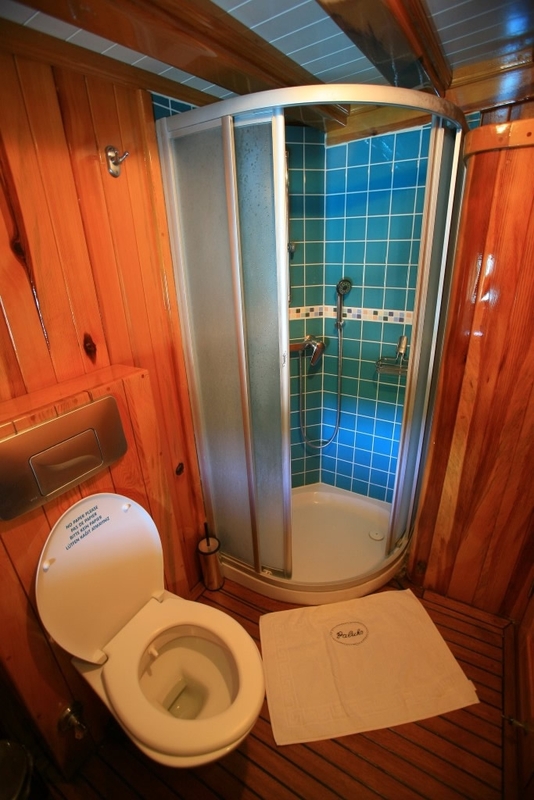 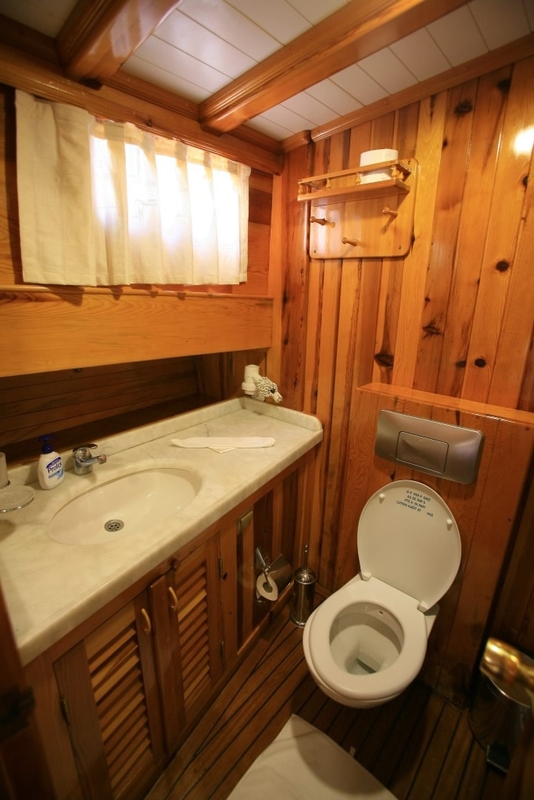 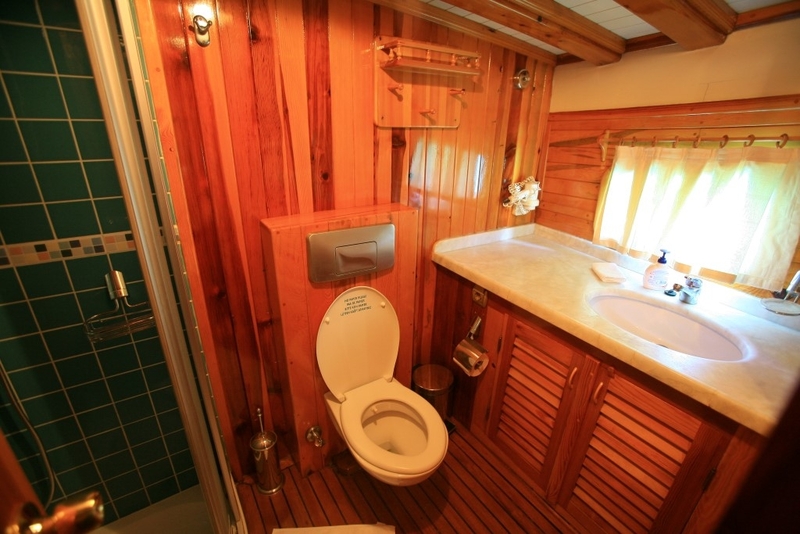 All cabins have private bathroom and toilets with shower cubicles and have air-conditioning available. 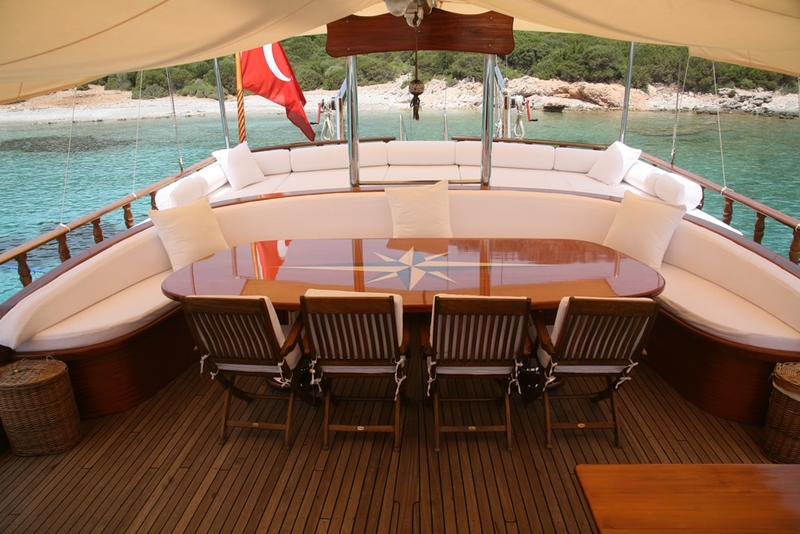 The saloon on Turkish yacht Kaya Guneri 2 is a very comfortable space with leather banquette seating around a full dining table, ideal for meals or relaxing or viewing the TV/DVD systems. 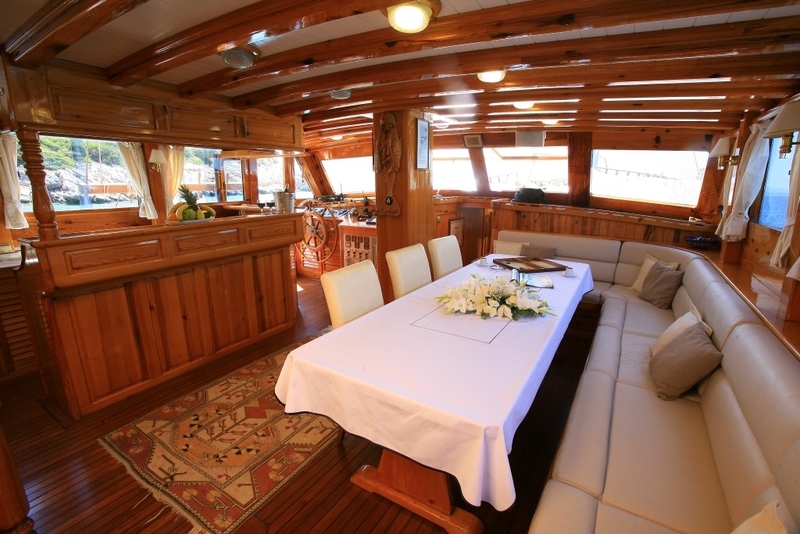 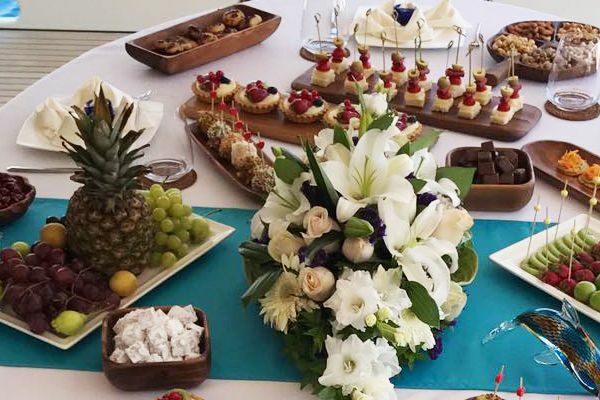 The galley is fully equipped and the cook is a specialist in creating delicious meals for the guests. 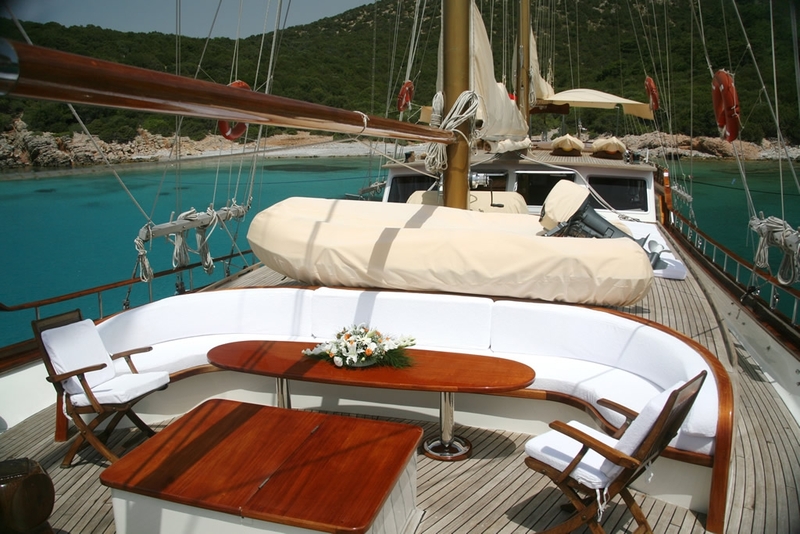 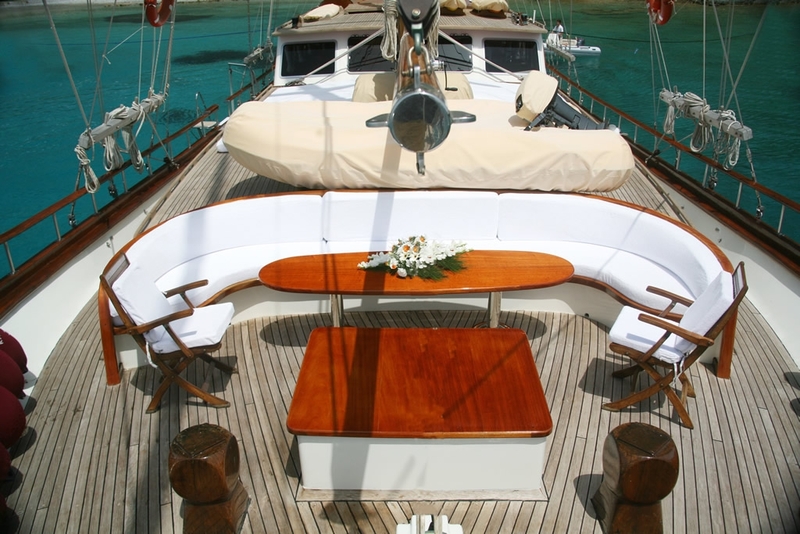 Most meals are enjoyed at the aft deck outdoor dining table with its own long curved seat and chairs. 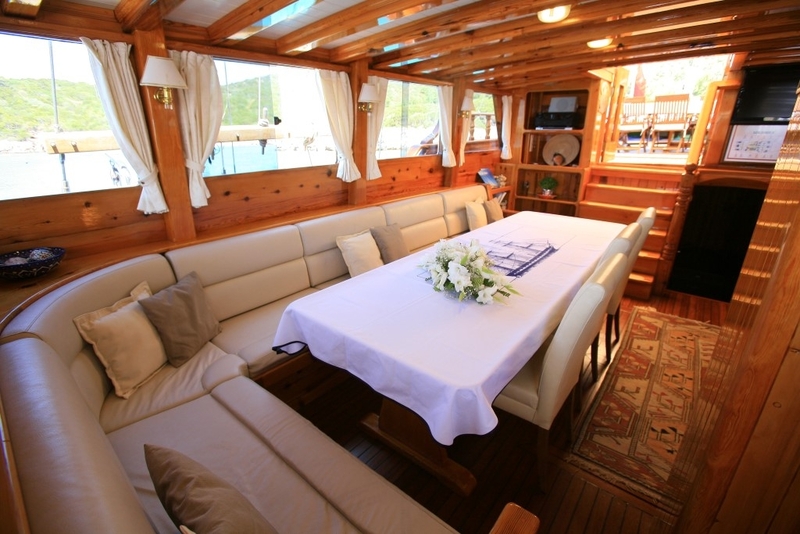 Behind the table is the separate bank of cushions laid across the stern which are perfect for lazing in the shade for an afternoon, enjoying the views of the bays and the beautiful coastline. 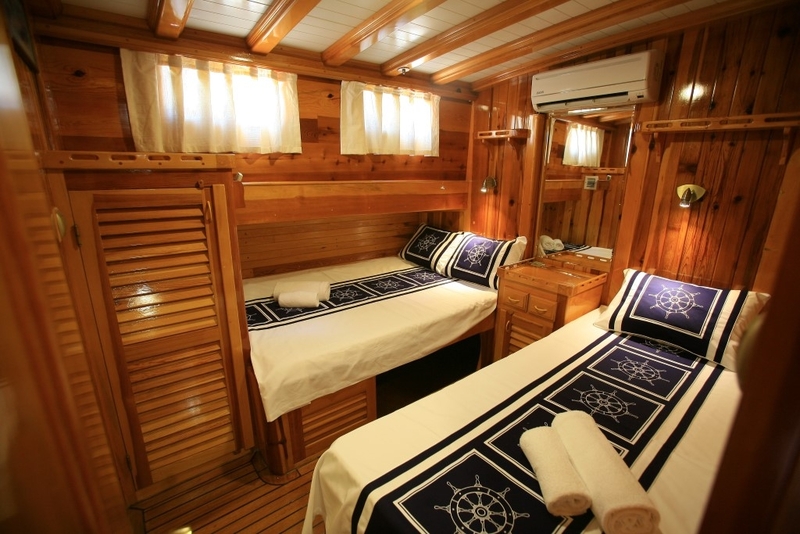 Even more relaxation space is offered on the fore-deck with personal sunbeds or the long comfortable seat in the bow where gatherings for watching sunsets and drinks are ideal. 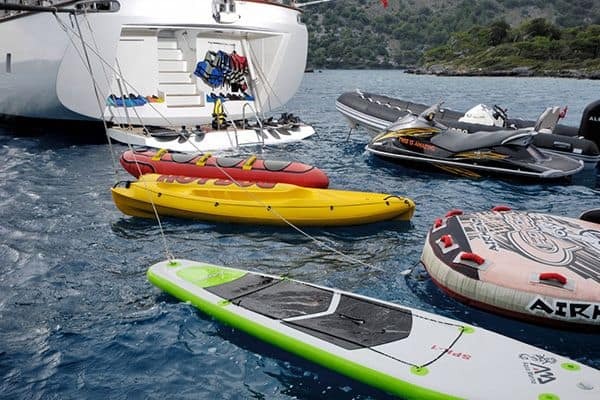 Enjoying water sports and the toys in the bays are part of the fun on Kaya Guneri 2 gullet, as is enjoying the experience of sailing with the sails set by the crew. 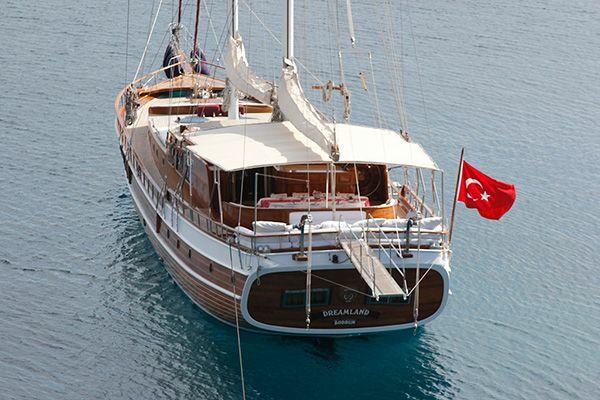 Special memories of a cruise holiday are taken away from lovely gulets such as Kaya Guneri 2.